It's Par-taaaay time! I love having you here! 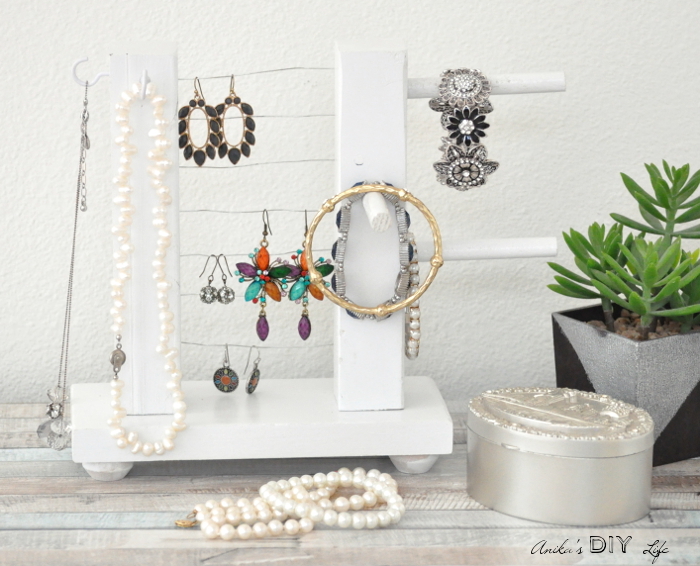 This week I am excited to feature this awesome DIY Table Top Jewelry Holder from scrap wood by Anika from Anika's DIY Life! Isn't it so adorable! She is so creative! 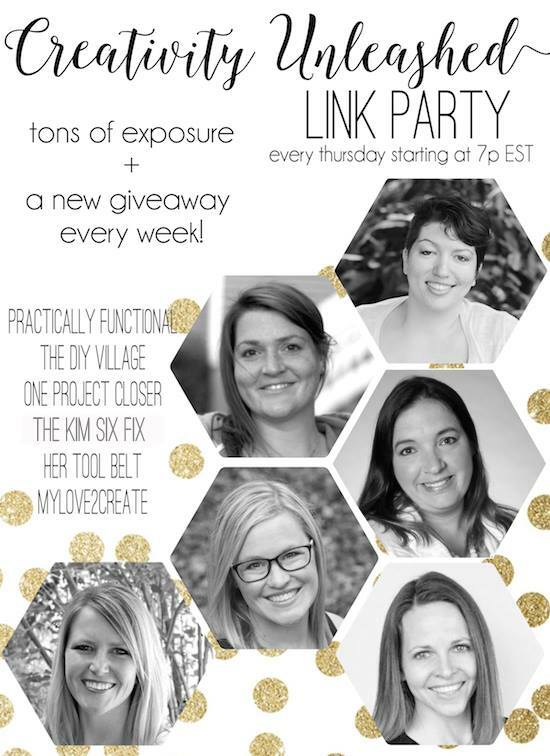 I am happy to join with my friends; Jessi from Practically Functional, Jacque from The DIY Village, Jocie from One Project Closer, Kim from The Kim Six Fix, and Amy from Her Tool Belt to bring you this awesome party each week! The party starts Thursdays at 7pm ET and runs through the weekend. Link up below for your chance to be a Creativity Unleashed Rockstar! So what do the Rockstars get? Every week each of the six creativity unleashed bloggers picks one rockstar that is featured in their party post. They are the blog's rockstar feature that week. Every rockstars project is pinned to our Creativity Unleashed Fabulous Features Pinterest board. Each Rockstar is featured on the social media channels of the blogger who selected them that week. All six rockstars are also featured on our Creativity Unleashed Facebook Page, including a tag and a link back. Who Were the other Rockstars this week? Happy 2018 New Year Mindi. Thanks for co-hosting the 205th Creativity Unleashed. Have a great week.